As summer draws to a close all too soon, and kids get ready to return to school, we at Redwood Dojo are looking forward to returning to our full schedule, starting on Monday, August 21st. If you’ve been away for the summer, we look forward to having you back! Stop by and let us know you’ll be in class, so we can save your space and make our lesson plans. If you’re a former member of “peewees” now ready for “big kids’ class” (age 6-7), plan to attend on Mondays at 5 pm and Thursdays at 4. All new and returning students – check the class schedule here, and let us know if you have any questions about which class to attend. Sensei Lara is in the house! If you trained in the dojo this summer, you had a chance to take class with Sensei Lara Tribe-Jones, and she’s now going to be a regular instructor at Redwood Dojo. Sensei Lara grew up in the dojo (so to speak)! That is, she began training here when she was a young student at Redwood Heights Elementary, earned her black belt with us, then went away to college after graduating from Oakland Tech. Sensei Lara prepares a group of Redwood and Rohai Dojo students for a Cuong Nhu demonstration at Sarah’s Science camp in Roberts Regional Park. Luckily for Redwood Dojo, she returned to Oakland after college and continued her martial arts training while earning a masters degree and teaching middle school math in OUSD. Now we can all benefit from her considerable talents as an instructor. Just one more good reason to come take class. West Coast Training Camp is on our calendar; be sure to put it on yours! Every fall, the Bay Area Cuong Nhu community hosts a martial arts training weekend for all ages and levels, featuring Grandmaster Quynh Ngo, Cuong Nhu’s head-of-style, and many of the top instructors in our organization. This year it’s scheduled for October 6th & 7th. Classes are held on Friday evening and all day Saturday (including a catered lunch), at nearby Alameda High School. Children age 6 & up are welcome (we make a point of bringing in instructors who love to teach kids), and of course, there will be a wide range of special classes for adults and teens. Details can be found at Berkeley Cuong Nhu Karate’s website, or on the Facebook event page. Don’t miss it! Spring Tournament: New Event for Parents! Rohai Dojo’s Spring Tournament (which this year takes place the day before Spring, on Saturday, March 19) has always had a special division for Family Team Kata (parents and kids performing kata together). In the past, though, it has only been open to parents who train in karate. This year, for the first time, we welcome ANY parent who wants to compete alongside their child or children to enter a special division. 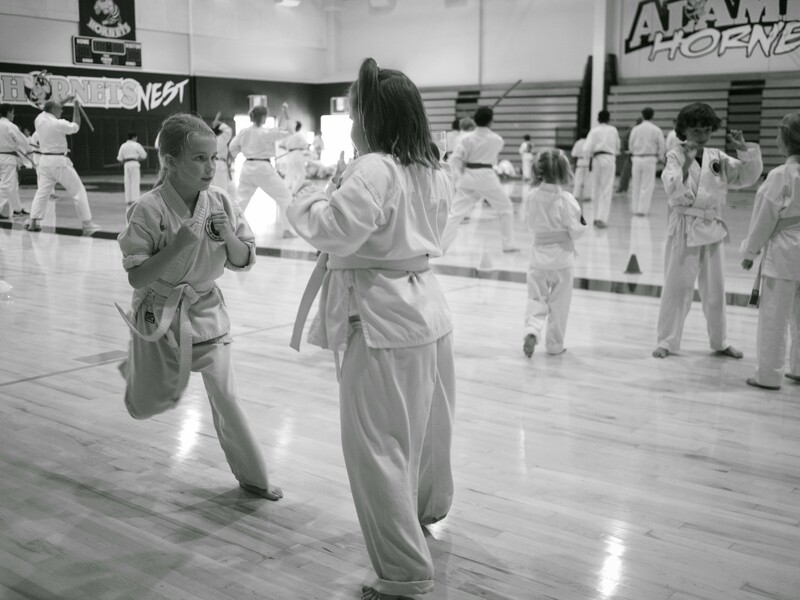 Come in for a few classes to learn a basic kata from your child’s instructor – or work with your child to create a kata, and come in to get some expert coaching in the lead-up to the event. Families at Rohai Dojo are invited to attend the Wednesday 6 p.m. Family Class to practice together, if they cannot attend together at other times. At Redwood Dojo, Sensei Didi will be coaching family kata during the Saturday Morning class on March 12, and/or at other times arranged by interested families. Saturday morning class meets outdoors, so dress warmly and wear waterproof shoes! As of today, the weather forecast predicts that it will not rain before noon on Saturday, so all should be well. However, if we do get rained out, family team kata groups should attend anyway, and we’ll find somewhere we can sneak inside and practice quietly. Try it, parents! This is going to be fun. You may also click HERE to register online. Note that more than one family member can be signed up with a single transaction; to do this, click the “sign up a friend” button after entering the information for the first registrant. If you have any questions, feel free to contact Sensei Didi at redwoodojo[at]earthlink.net. PLEASE NOTE: There will be no Saturday Class at Redwood Dojo on March 19, as we will all be at the Tournament. See you there! Don’t Miss West Coast Training Camp! WCTC is coming up soon! This year it takes place on Friday evening, October 2nd, and all day Saturday the 3rd, at Alameda High School, just 15 minutes away. 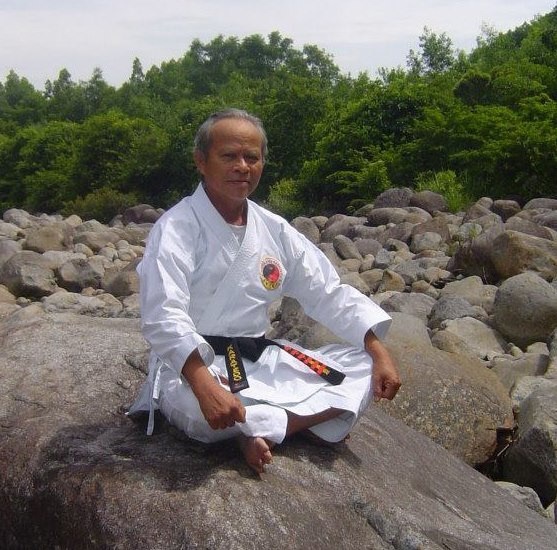 As always, we’re bringing in some of the top instructors in Cuong Nhu, including head-of-style Grandmaster Quynh Ngo, to teach students of all ages and ranks. This is your chance to get a taste of international Cuong Nhu, without having to travel to North Carolina for the annual international training camp. Don’t miss it! It’s a great event for kids, and a great training opportunity for adults of all ranks, including beginners. For full details, please follow this link to Rohai Dojo’s website. If you’d like to go directly to registration, click on this registration link. At the bottom of the registration page, after you send in your information by clicking “submit,” you’ll find a link that will allow you to pay online by credit card if you wish. Can you help by hosting an out-of-town guest? Every year, people travel from as far away as Florida, Pennsylvania, Arkansas, and Georgia to take part in our event. Most stay at the official WCTC hotel in Alameda, but some prefer to stay with a local family, to make new friends (and save a little money on travel costs). If you can host an out-of-town guest and help them get to Alameda for the events Friday and Saturday, please let us know by emailing Sensei Didi at redwoodojo[at]earthlink.net. Thanks, and see you at the event! Here are some of the folks who came last year. Make sure YOU are in this year’s picture! P.S. Did we mention that WCTC is the only national training event with an official Cookie Break? Register today! Master Nguyễn văn Nhân, head of Cuong Nhu in Vietnam, will be teaching in Berkeley and Oakland on Monday and Tuesday, June 1-2. This is a very special visit, creating a bridge of friendship between the Cuong Nhu schools founded by O Sensei Ngo Dong in the U.S., and the Vietnamese “descendants” of his original schools in Vietnam. 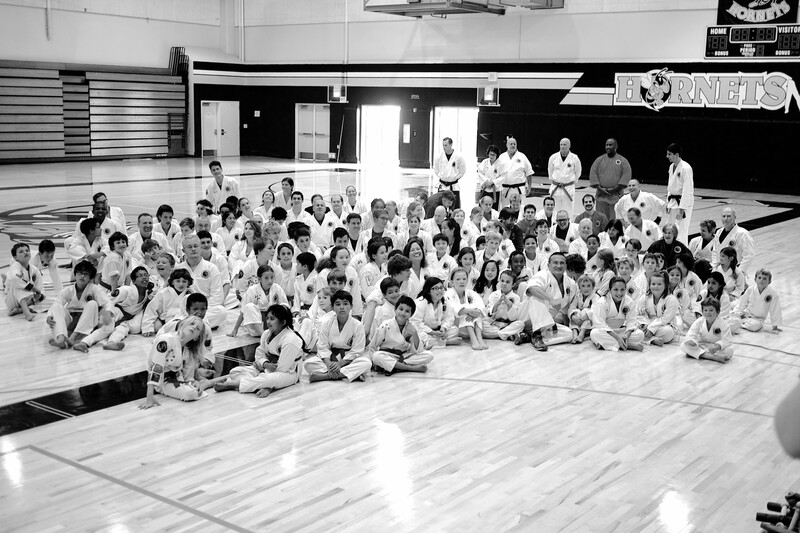 Master Nhân attended the Cuong Nhu 50th anniversary training camp in Raleigh, North Carolina, over Memorial Day weekend, and since then has been visiting Cuong Nhu schools in Florida, including the National Headquarters. He is now honoring us with a visit, and I hope everyone will be able to attend and take class. Location: Redwood Heights Community Center, 3883 Aliso Avenue, Oakland, just off Highway 13 at Redwood Road. Note to Redwood Teens: You are strongly encouraged to stay for the adult class. Note to kids age 6 & 7 who do not normally attend on Tuesday: If you would like to take class from Master Nhân, you may ask Sensei Didi’s permission to take part. You may also attend class just to watch. They’re also offering an online registration and payment option this year. That should make it easier to get registered before the late fee kicks in on March 5th! Visit their website and follow the links to use this option. We’ve been practicing “tournament style” in some classes, and hopefully students of all ages and ranks will be inspired to train to a new level. That, after all, is the point: trying to be the best we can be! Let Sensei Didi know if you have any questions about the tournament, registration and payment… or anything else concerning your or your child’s training.